Philadelphia-based Vacationer is an electronic five-piece group formed in 2010, releasing their first LP two years later in March 2012. The band’s first record in over four years, ‘Mindset’, was released last month to the excitement of many fans. The group has cited their main influence as LCD Soundsystem, one of America’s most successful electronic artists. Vacationer toured extensively in 2012 through to 2013 and even supported a number of bands including Bombay Bicycle Club and Tennis. Now the band are back with their third studio album which helps push the group’s musical boundaries and offers listeners a new angle on Vacationer’s established electronic sound, blending electro pop similar to that of Animal Collective with dream pop comparable to Beach House. Our ‘Needed’ track of the week is ‘Magnetism’, the band’s lead single from the exciting new record. ‘Magnetism’ is a catchy number, a tune of summer vibes that sticks in your mind. Although the track uses a straightforward beat, the use of layered samples and vocal flows is clearly the work of frontman Kenny Vasoli. 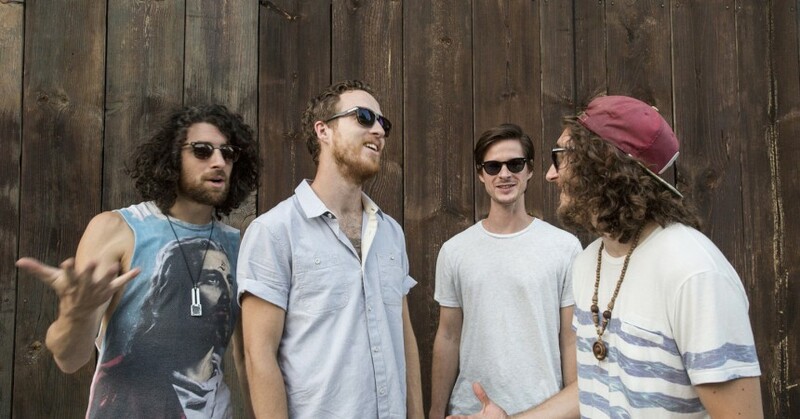 Listen to Vacationer’s new single here.